The Application Team has the most direct contact with applicants. They are responsible for accepting and reviewing applications to ensure they are completed correctly before being submitted to the Processing Team. All questions or issues related to applications should be directed to the Application Team. Click here to view and print out a Hardship Fund Application and Confidentiality Agreement. Below are the guidelines that the Application Team followed. Office hours are held at the union office in a conference room. One committee person is assigned to each applicant as they arrive. If all committee members are busy, then applicants queue up and wait to be helped. There is no sign-in sheet (on the door, etc.) to preserve confidentiality. The expectation is that members will know and respect who arrives first. The member and applicant use a private office space to discuss the application. If no private space is available the committee member makes sure the applicant feels comfortable discussing personal information in the conference room among others. Applicants will be able to make copies of documents. The Application Team does not accept incomplete applications. If applicants do not get in all of their documentation before the Wednesday submission deadline, they run the risk of being denied. To be in the best position to receive funds applicants need to include as much detail as possible in the expenses and special circumstances portion of their application. If an applicant doesn’t want any part of their application reviewed by the Applications Team before being submitted for processing they should specifically identify what part of their application or supplementary documents they would like to keep private. As the Applications Team goes through the application they will circle any confidential information (name, address, account numbers) for proper redaction by the Processing Team. After they review an application the Application Team member will make a note on the envelope or application identifying who reviewed the application. 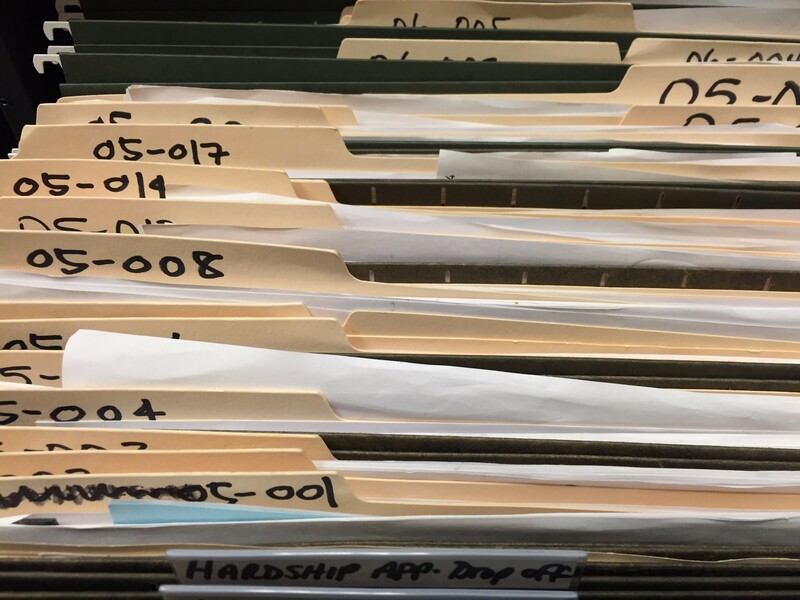 The Application Team member makes one extra copy of the entire application for redaction for the Processing Team (or if the member wants a copy for their records). If the Processing Team is meeting at the same time as the Application Team, they can hand over applications at the conclusion of office hours.